CALLAHAN PC’s attorneys have regularly represented government contractors in litigating bid protests, small business size protests, prime contract disputes with government agencies and prime-subcontractor disputes. 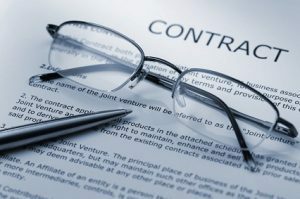 They also regularly advise and represent clients concerning government contract compliance matters, contract claims preparation and negotiation, teaming agreements, eligibility requirements for preferential contracting opportunities for small businesses, and employment issues for businesses with government contracts. One of our attorneys, an elected Fellow of the National Contract Management Association, regularly teaches the “Contract Changes, Claims, Terminations and Disputes” segment of the Army Contracting Command’s “Contracting Officers’ Workshop” on Redstone Arsenal. We welcome the opportunity to put our knowledge and experience to work for your business in addressing the complexities of government contracts in the ever-changing federal procurement environment.